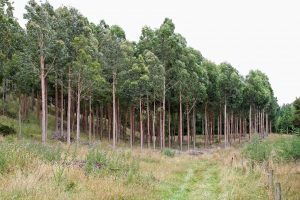 The three leading alternatives to radiata pine grown in New Zealand are Douglas-fir, cypresses and eucalypts. These species have the potential to reap high returns and diversify the industry thanks to the special characteristics of their timber. The Specialty Wood Products Partnership is a government and industry-funded research and development partnership aimed at increasing the productivity and profitability of these specialty species. Redwoods are another, increasingly popular, specialty species. However, they are not currently part of any industry-funded research programme.